To say I haven’t blogged in a while is an understatement. I have no good reason why I stopped. The only thing I can come up with is that I felt this need for the posts to be profound. I put pressure on myself to make the blog be important. After nearly 7 months of not writing I realized that I don’t have to labor over what to say…I’ll just say it! I love storytelling, so why not tell more stories! I’m publicly challenging myself to reflect on each day’s experiences so that I can share more stories, more often. Today I am going to steal an idea from Jenna who stole it from Sarah who stole it from Sallie who had the original idea. This blog works well for me because I am turning 28 in a few weeks. Here are 28 things you (might not) know about me. 28. I have a hard time getting motivated to exercise. Once I start I enjoy it, but I wish I had more motivation to get going. 27. I’m a crier. I think I get it from my Dad. 26. Even though I joke about kids not being my favorite thing, I do want kids of my own. My friend’s children have taught me that. 25. I love my cat, Ralph. 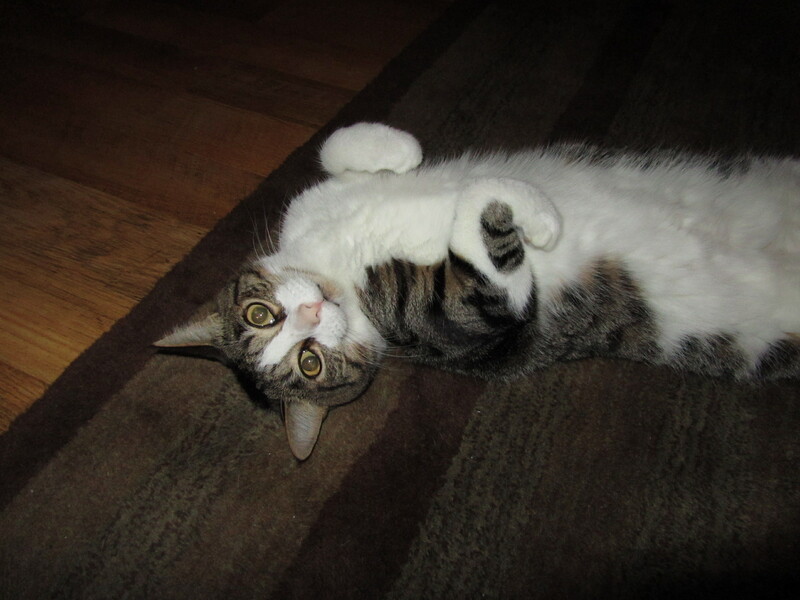 I don’t care if people give me a hard time about being a cat person because I think he’s the bee’s knees. 24. I dated 4 guys in a row that had three-lettered names. 23. I am so blessed to have parents who are still married to each other and in love. 22. When I get nervous or anxious I pick at my cuticles. 21. I turned twenty-one on 4-4-04. My brother surprised me and flew from MN to IN to celebrate with me. 20. I’d like to take photography classes someday. I love taking and looking at pictures. 19. Before I go to bed each night I make coffee for the next day. The timer is set for 6:45am. 18. I get my sense of humor from my Dad. I laugh at all his jokes and I love hearing his “new material” each time I see him. I catch myself laughing at my own jokes and then I smile because he does the same thing. 17. I still watch Days of Our Lives. I hope they never cancel it so that I can pass it on to my daughter like my Mom did with me. 16. I love Tuesdays with the Layton Family. 15. I want to go to Europe…like, soon. I need financing and extra days off to make that happen. 14. Like Jenna, joining AGD was one of the best decisions I’ve ever made. Pretty much every detail of my life would be different now if it weren’t for that choice. I am grateful for the organization and for the people I have met as a result. 13. I don’t believe in fat-free dairy products. That’s just not right. 12. I cried when my brother finished his first marathon last fall. (See #27) I think that’s the only time I’ve cried from being proud of someone. It was an indescribable emotion. 11. I’m a horrible speller. I’m not sure where that went wrong. 10. I shamelessly sing along to the same song almost every day on the way to work. Glee Soundtrack, Volume 3, track 3. 9. There was no question that I would go to Ball State. I was number 5 in a line of Peat cousins to attend. I didn’t apply to any other colleges. 8. It if weren’t for The Loft, I would be naked every day. I may have an addiction to their clothes. 7. If I’m writing a list and I mess something up, don’t have the same pen color, or it’s not pretty I’ll start over. 6. I don’t like to be confused or think too hard to watch a movie or TV. I don’t think that’s entertainment. 5. If it’s after 9pm, I’m on the couch, the TV is on and the lights are off, I’m probably asleep. 4. My mom is one of my best friends. 3. My favorite person to vacation with is Sarah. We love the same vacation spots, food, snacks, coffee and entertainment. Plus we can share shoes while we’re there! 2. I own a sickening amount of cardigans. (See #8) I hope they never go out of style. 1. I’m glad a little peer pressure from my friend’s blogs got me to write this list and get back in the blogging world. It has been nearly two months since I posted. I have stories, ideas and words in my head ready to be written down. For a reason unknown to me it just hasn’t happened lately. I have to be in the mood to write well enough that I feel comfortable posting it for the world to see. I’m searching for the inspiration that will make me write again soon and hoping that comes quickly. Until then I’d like to introduce my first Guest Blogger, my Mom. My Mom is my biggest fan. 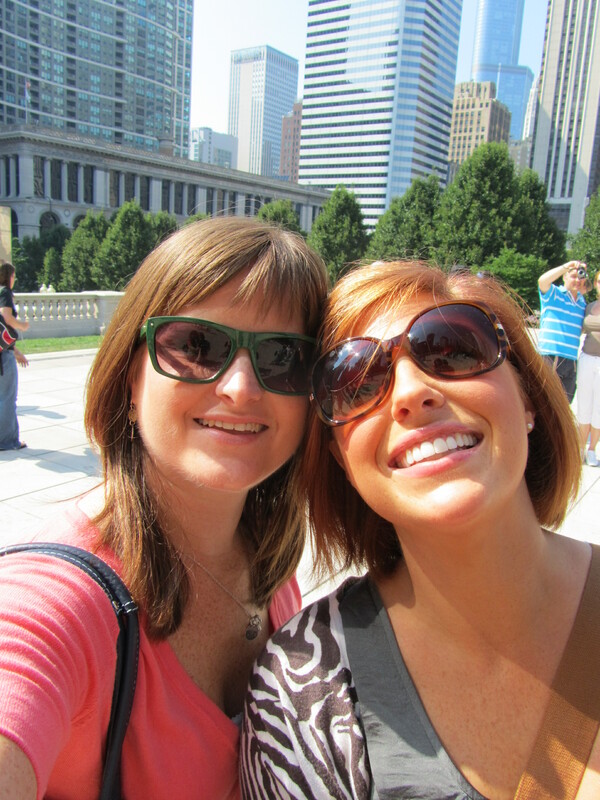 She is my encourager, my sounding board, my inspiration, my blog editor, my shopping partner and my best friend. I am so lucky to have such a strong Christian woman as a positive role model in my life. She felt compelled to write a story from the heart about my brother and asked if she could post it on my blog. Without hesitation I said yes. That question gave me a time to pause and reflect on the worst situation I have ever personally gone through. I have survived growing up with a less than normal family, breast cancer, and losing loved ones that I cherished. Yet, watching your own child struggle through an illness when the illness itself is not understood by medical professionals is truly the experience I count as the most difficult of my life. The story begins with what started as a doctor appointment to address Adam complaining about feeling very sick. Adam had been a very healthy child with the exception of ear infections. Generally, the only doctor appointments were for routine checkups. My husband, Dave took him to the doctor and they decided he had a sinus infection and treated him accordingly. He did not get better. He had a fever, little appetite and other flu-like symptoms. We took him back to the doctor. He was then given instructions to add Advil to his prescription. He was still not eating or sleeping very well. He also complained of a back ache. The doctors assumed he had some sort of virus. I don’t exactly recall how many days it was like this. But I do remember what happened when we decided it was much more serious than a virus. I was sleeping on the couch because it was closer to his room. Early in the morning he crawled….yes…CRAWLED…to me and said he could not walk. He had no feeling from his waist down. I woke up Dave. I am not sure where we took Katy, but we got Adam to the emergency room right away. We did not have to wait at all. Soon there was a big team of doctors surrounding Adam as he lay on a bed. They were all offering suggestions….and I could hear part of their conversations, like, “We’d better alert the surgeon in case it’s a brain tumor.” “An MRI should be our next step.” This was an extremely frightening conversation to overhear. I do remember feeling relief that at least a medical professional was seeing that this situation needed more than an antibiotic. The next step was the MRI. I got as close as I was allowed and talked to Adam the entire time. It was very important that he remain still. He felt bad enough that this was not a problem. Soon, they ruled out any kind of tumor. Yet they still did not know the cause of his paralysis. They admitted Adam to a room. A nurse inserted a catheter and said she’d never seen so much urine in a bag. Adam still had no feeling. Dr. Russell was called in as a neurologist. He did a spinal tap. Luckily, Adam did not feel this. It was a long needle. Don’t let anyone ever tell you it’s not a big deal. It was. Adam noticed many years later the place where the needle was put. Many, many things were ruled out, yet no clear diagnosis was made. Finally, Dr. Russell said he believed Adam had Transverse Myelitis. This is an inflammation in the spinal column. It is very unusual for children to have this. He prescribed steroids that he hoped would reduce the inflammation. At that time they were talking about putting Adam in a rehab facility and/or having physical and occupational therapy. There were many thoughts and possibilities that were almost too much to take in. We managed one day at a time with support from loved ones and our faith in God. After Adam received the steroids for a period of time, he began to get feeling back in his legs. He definitely noticed the catheter being removed. I only heard about that. As a near teenager, he did have to maintain his dignity. 🙂 This was in itself a sign that he was getting better. Part of his recovery included physical and occupational therapy. He walked slowly at first. He stayed out of school for a period of time after he was released. This experience helped our family bond with Mr. Hixon, the principal of the junior high at that time. Mr. Hixon had survived an illness as well. His presence helped Adam to have courage. Adam went to therapy weekly. With each day, his body healed. Our prayers and the many prayers of our family and friends were answered. So, here it is….18 years later. Adam has turned out to be a very persistent young man. He worked hard in high school. He graduated with honors from college. He not only walks well, but he has been preparing to run in a marathon in Indianapolis on November 6th. Who would have thought that would have been a possibility when he was 12 years old? Once again, I thank God for the miracle he is. I thank God for His grace. I thank all my friends and family that have supported him in the past. If you’d like to send him good wishes, his email account is bsuchief@yahoo.com If you’re in Indianapolis on November 6th, come cheer him on. His mom, dad, and sister will be there cheering the loudest! The day I arrived on the campus of The University of Oklahoma I was a bundle of nerves. The campus was like nothing I’d ever seen. Red brick buildings covered in ivy, mature trees, brick walk ways lined with perfectly placed landscaping and some of the most beautiful sorority and fraternity houses I’d ever seen. This was my first assignment as a Leadership Consultant and I had no idea what to expect. 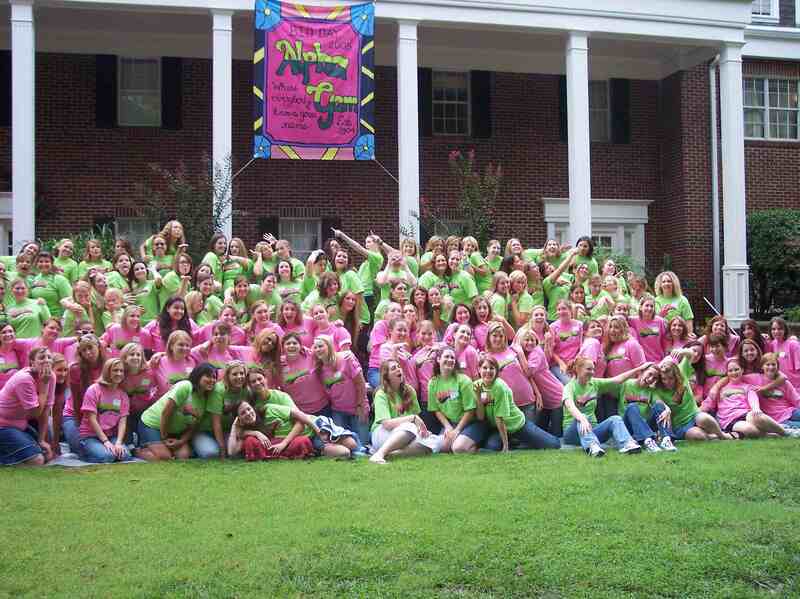 I never had the opportunity to live in a sorority house and I was getting ready to spend two weeks living with what I remember to be about eighty women. The first few days I was there I tried to learn the campus culture, remember the names of the girls who I had talked to, find my way around the gigantic sorority house and discover what my purpose was for the visit. Meanwhile I was trying not to melt in the over one-hundred degree temperatures Oklahoma boasts in August. The girls were extremely welcoming. They were excited to learn about me, get to know me and befriend me. This was not the case every place I visited; more to follow in subsequent posts. I was so lucky to have such a warm welcome on my first visit. 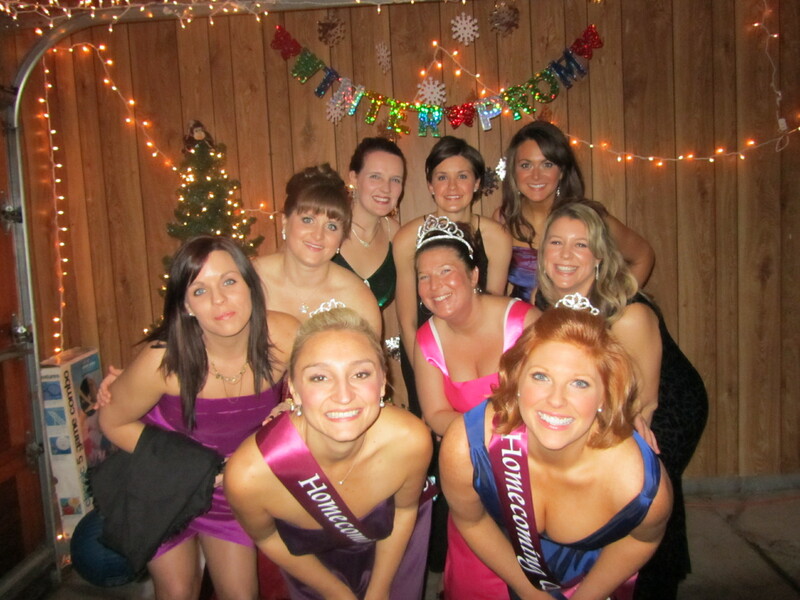 I was homesick and missing a sorority sisters’ wedding. I had anxiety about if I would be good enough to make a positive impact on my first visit. After only a few days at OU I felt at home. I formed a few friendships with girls who became very special to me that year. They kept me busy during my downtime which helped curb my homesick feelings. They appreciated advice I shared which helped bump up my confidence. They even took me to a drive-in called they called ‘Classics’ and introduced me to the joys of fried okra and cherry limeades! Most of all these women inspired me. 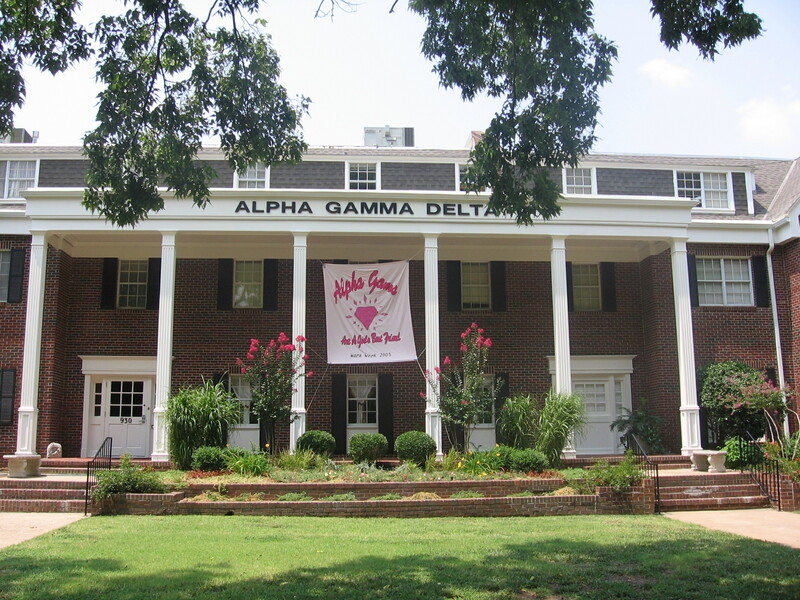 After only being there a short time, I realized the Alpha Gam chapter at OU was basically the underdog. 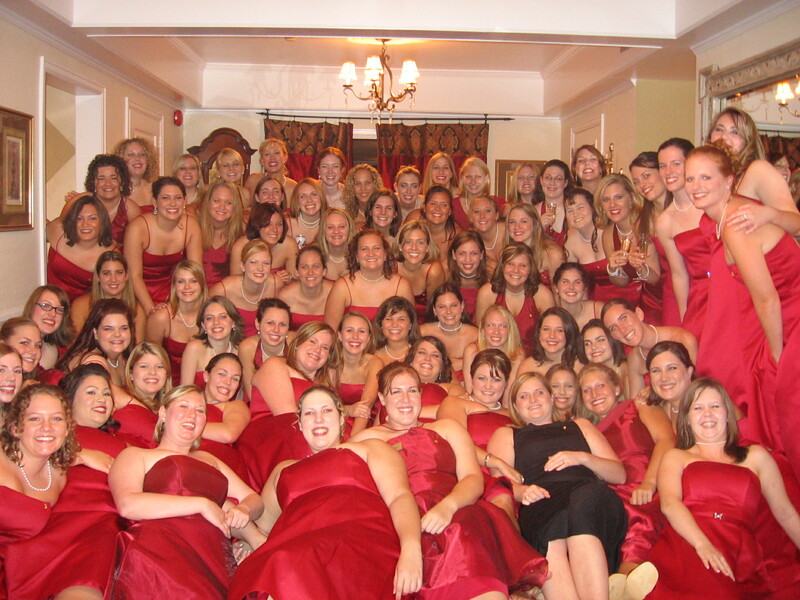 They had the lowest number of members of any of the sororities and didn’t have the most popular reputation. This was a tough spot to be in on a campus that was very rich with Greek traditions. When you come from an organization that is successful it’s hard to wrap your brain around the thought that everyone isn’t as successful. I only knew what I had experienced personally up to that point – anything else was outside my comfort zone. If they had not told me the position they were in I would have never known. They were ready for the challenge to increase members and were positive about the outcome of their recruiting efforts. They worked together to make positive changes. Basically what I’m saying is they made my job easy! I was able to observe teamwork and positivity at its finest. By the end of those two weeks I felt like a member of their chapter and I desired to see it succeed just as much as they did. 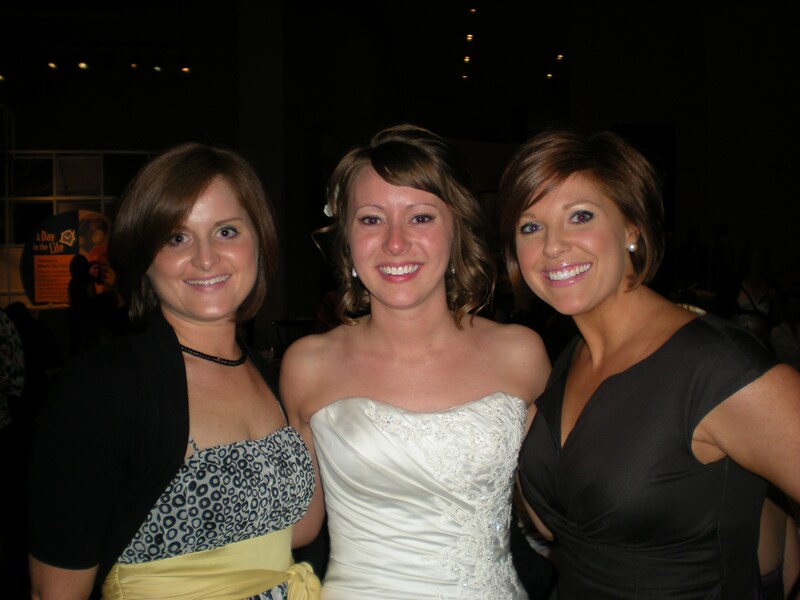 There were two girls who I got to know the best on that trip and kept in touch with even after I left – Kristi & Sarah. They may not know it, but I still think of the impression they made on me in two short weeks. I talked to both of these women throughout my year of traveling. If I had a rough day I could call Kristi for a laugh. If I was being unreasonable, she would simply put me in my place and tell me to get over it. We talked about more than just sorority. We talked about the important things in life; weekend plans, TV, food and men, of course! Fast forward five years and I am still facebook friends with Kristi and Sarah. Kristi let me know a few days ago that during this years’ recruitment the Alpha Gam chapter got the highest number of new members of any other group on campus. If you’re not familiar with the Greek lingo, it means they basically did the best! I told her I felt like a proud mom! To see a chapter who has worked so hard succeed is extremely fulfilling. I’m sure I had nothing to do with the chapters’ success since it has been five years since I visited. However, it just goes to show that hard work and positive attitudes pay off. It was also a great reminder for me to reflect on the lessons learned and relationships formed during my short visit to Norman, Oklahoma. I met Katy Vest the spring semester of my junior year of college. She was working as a Leadership Consultant for Alpha Gamma Delta and I was the VP of Recruitment at that time. I don’t remember much from our meeting except that we were at Scotty’s Brewhouse in Muncie. I’m sure I had some type of wrap and mac & cheese. I wish I remembered more detail about our conversation because I’m fairly certain it was Katy who convinced me to apply to be a Leadership Consultant for Alpha Gam. I don’t know what she said or did that sparked my interest. Maybe it was the fact she spelled her name the same way as me. Maybe I thought she was really cool and I wanted to be like her. Maybe I was under some kind of spell because of the mac & cheese. Next thing I knew my senior year of college had started. With the new year, my application process for the LC job began. I remember filling out the application in the early fall, perfecting my resume and sending it all in with an attached headshot. I waited a few weeks to hear if I had been chosen for an interview. Once I heard the good news Mom and I made a much needed trip to the Ann Taylor Factory Outlet for suit shopping. Winter rolled around and so did interview weekend. I made the hour-long drive from Muncie to downtown Indianapolis. Upon arrival I discovered all the other applicants had flown in from across the US and were picked up from the airport in a limousine. I drove my ’97 Altima right to the Hilton Garden Inn and parked it myself; so much for the royal treatment. The weekend came and went. I felt great about my interview, but nervous because the pool of applicants was tough. I knew they were only hiring 6 and there were at least 20 girls to pick from. After about a week I received a phone call that would change my life. They offered ME the job. I was shocked. I had all but convinced myself they were going to hire someone else. I quickly accepted and was anxious to find out who my fellow consultants would be since I had met all the applicants on interview weekend. Little did I know that 2 of those women whose names I did not really know at the time would become close friends. It was only January of my senior year and I already had a job. What a relief! I was able to enjoy the rest of my time in college and didn’t have to search endlessly for jobs or worry about what I would be doing or where I would be living. Looking back I realize how lucky I was to have that kind of freedom. Graduation was at the beginning of May and then I had about two months free before I started training. I was full of excitement and nerves the day I started. I really had no idea what to expect or what I had gotten myself into. Before we knew it training was over and we were supposedly ready to go change the world…or at least change Alpha Gam. Three of us were scheduled to go to our first chapter visit together. When we arrived at the airport we looked like a circus act. Three girls, dressed in suits, toting 9 suitcases. I remember all three of us tried to board the elevator together and failed miserably. I’m sure anyone who was lucky enough to see our struggle was quite entertained! We had no idea how to maneuver so many suitcases – especially in high heels. To think that was only the beginning. We left Indianapolis en route to Oklahoma City, OK. Our first chapter visit was to Oklahoma University in Norman. When we arrived in OKC, the job, the lifestyle and the next nine months instantly became real to me. I wish I would have kept a journal from my time on the road. I was probably too exhausted to keep up with it anyway. The year was full of highs and lows, learning experiences, memories I will cherish forever and moments I have chosen to leave behind. Someday I plan to make a photo book out of the pictures I took as a keepsake. For now I just have the pictures on my computer and the stories in my head. 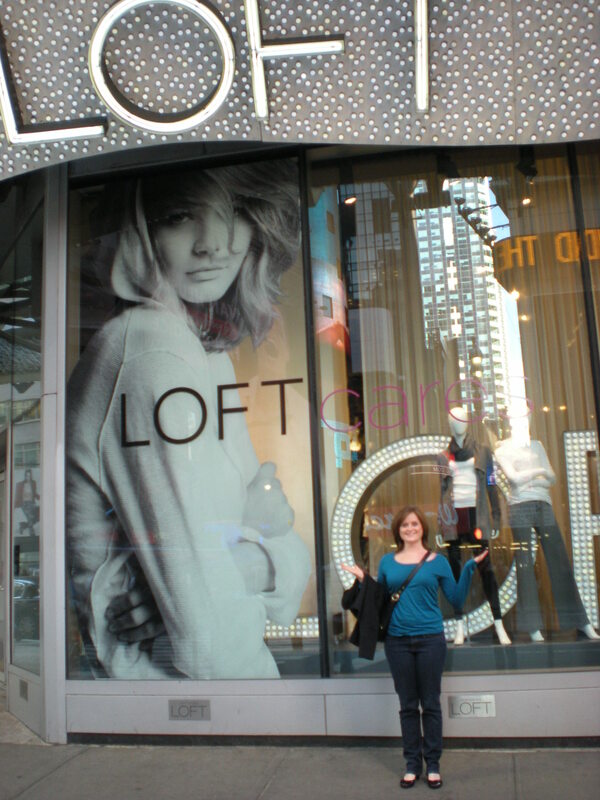 I’m planning to dedicate the next few blog entries to reliving that time in my life. Although the job is over, the learning experiences and the friendships formed are still with me today. This weekend I’m meeting Christy and Sarah, fellow consultants mentioned earlier, for our bi-annual get together in Chicago. Despite major life changes and living in three different states, we still make it a priority to meet twice a year and spend time together. This year, Sarah is flying, Christy is taking a bus and I’m driving. We will most likely spend our time together shopping, eating and laughing about stories from when we worked together as well as from our previous get-togethers. Each time we meet, I think how different my life would be had I not met Katy Vest and applied for that job. I’m grateful for my experiences that year and look forward to finally writing them down, hopefully never to be forgotten. As a kid I spent summertime in the pool, fishing in the creek, taking long bike rides, attending tennis camps and working through the reading and math workbooks my mom (a teacher) required me to complete. Summertime in college was spent making copies as an intern at the local newspaper, hanging out with the Muncie “natives” and sweating to death with my roommate Kelly as we conserved the A/C in our rental house. The summer I graduated college I prepared for life on the road. 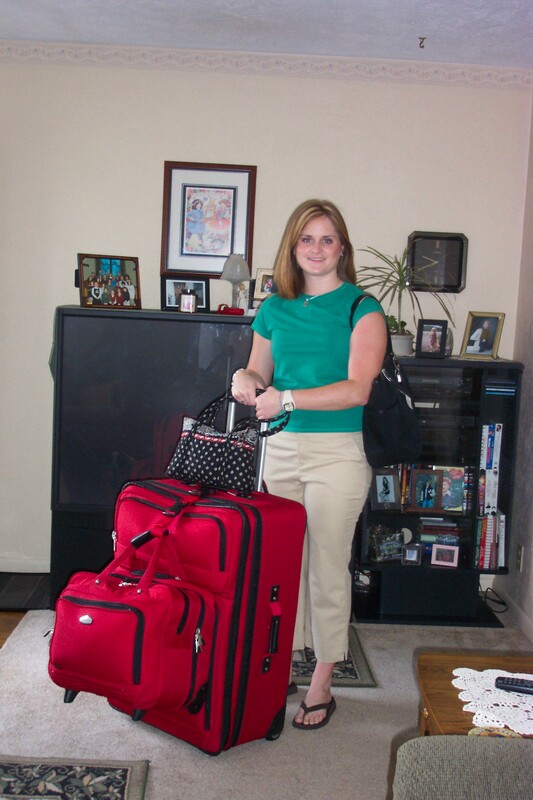 I spent the six weeks in between graduation and my first job figuring out how to pack in one suitcase for five months as a traveling consultant. The summer of 2006 I moved to Indianapolis, started my job at Tri-Auto and began what I would consider my real adult life. That summer was particularly eventful for me, the month of June specifically. I was a bridesmaid in 4 weddings in 5 weeks in 2 different states. The week before the last wedding, my Grandma June lost her battle with Lou Gehrig’s disease. It was a sad day to lose the matriarch of the Peat family, but a happy day knowing she would finally be free of the debilitating disease that claimed the last few years of her life. I wish I could better remember the last time I saw her before she passed away. I lived at my parents’ house for about a month before moving to Indianapolis and was able to see Grandma almost every day. Those were very special days to me. I cannot believe she has been gone for four years. 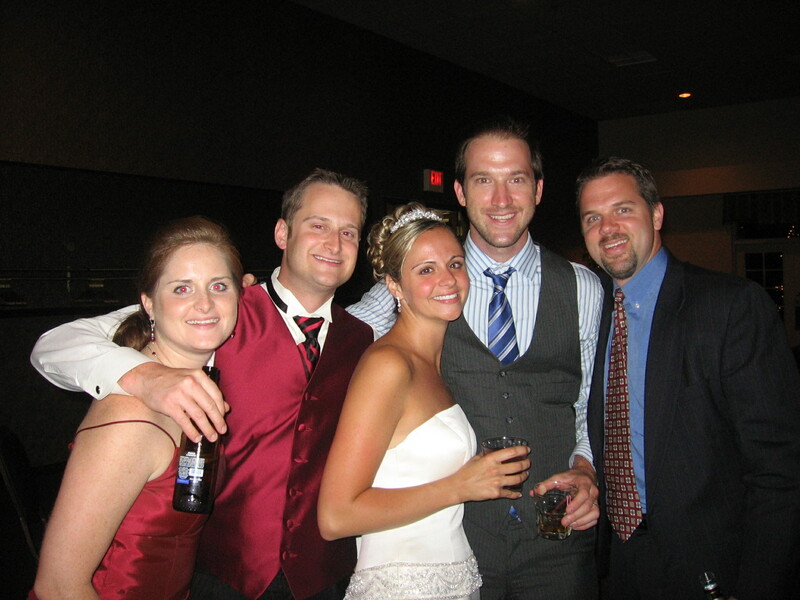 Each June I remember the four weddings and a funeral I attended the summer of 2006. Although I’m sad thinking about Grandma, it’s exciting to celebrate wedding anniversaries with my friends. So much has happened for these newlyweds in the last four years. Between the four couples, there have been three children born and one on the way! New homes have been moved into, new lives have been created and new vehicles have been purchased – even a minivan or two! A few years ago I realized summer is just like any other season. I work 12 months out of the year with no summer, spring, or winter break. It took me a few years as a working adult to truly let this concept sink in. Although I do not have three months off this summer I have plans practically every weekend. I’ll be visiting family and friends in other states, attending a few weddings, going on my first houseboat trip, and hopefully venturing south to see Sarah in Nashville. I will more than likely put a lot of miles on my car and learn to function on limited hours of sleep. My mother often reminds me that I’m lucky to be single and enjoy these times with friends. Being a single, independent 27-year-old isn’t something she experienced. The summer she was 27 she celebrated her 5th wedding anniversary. I clearly cannot relate to that. I love nothing more than to make last-minute plans with girlfriends or have everyone over for dinner to watch our favorite trashy reality TV show. It’s hard to believe it now, but someday I might not have that option. Although I love summer, I’m appreciative of the three other seasons in Indiana. All are unique in their own way. I love the sunshine, fresh air and new life in spring. The leaves changing colors, mild temperatures and football season are a reminder that fall has begun. When winter makes its way to Indiana I love to watch the snow fall peacefully on the ground and have an excuse to drink hot cocoa every day. I truly can’t imagine living in a place without the beauty of all four seasons. Growing up I was really only able to enjoy summer because that was my only time off. Although it would be nice to have summers off every year let’s face it, I’m not cut out to be a teacher! I look forward to enjoying all this summer has to offer and I won’t be disappointed when fall approaches because a new season means new opportunity. Each year when Memorial Day weekend approaches I’m reminded of how I spent the holiday in years past. The last three years I’ve camped out all weekend for the Indy 500 festivities. My version of camping includes a 28-foot RV with a full kitchen and bathroom. Either way, to me it’s technically camping. The weekend usually starts early Friday morning and doesn’t end until late Sunday when the race is over. There are in the neighborhood of 25-30 people at our campsite. Tents line the space around the massive RV and a scattering of camping chairs surround a fire pit. It is essentially a 3-day tailgate paired with some of the best people-watching I’ve ever encountered. By the end of these three days I’ve eaten more forms of pork than I knew existed. Thanks, Craig. By the end of these three days I also wonder why I subject my body to such abuse. This year my body won and I’m taking a break! There was a bit too much drama last year for our crew. Instead of the traditional Indy 500 camping we’re taking the show on the road and renting a houseboat for a few days in Southern Indiana. I’m excited to have less people, more space to get out of the sun and hopefully less drama. Four years ago on Memorial Day I flew out to New York City to be an attendant in my friend’s wedding. Stefanie has lived in NY since college. I flew into Manhattan on Saturday morning. My flight was to arrive before noon and then we were doing a spa day. Instead of landing on time, my flight was re-routed to somewhere in Pennsylvania due to fog. I was sitting on the plane for more than an hour and I was already late for the spa. We were finally released to land in NY and I was relieved. I didn’t have to wait for my luggage, so I quickly made my way to the cab line. I was finally next in line. The cab pulled up and the driver got out. This guy looked like he was a hundred years old; not what I wanted to see when I was in a hurry. Reluctantly, I got in the cab and told him the destination. We were moving along at a slower pace than I would have preferred, but I was happy just to be on my way. Those of you who know me know that I do not like being late. Not to mention the fact that I was late to an important pre-wedding event for a friend I hadn’t seen in over a year. As we approached a bridge the cab started making some strange noises. The next thing I knew the cab died. It must have been older than my ancient driver. At this point I had no other option but to cry. My flight was late, my cab broke down, and I was missing the spa day. My only saving grace was the fact that when you break down in the middle of the bridge, the cops respond quickly. Next thing I knew, a friendly cop was getting the scoop from the driver. I’m sure the cop thought I was crazy. I was crying and trying to explain that I was late for my friend’s wedding. I didn’t tell him it was the spa day in fear that he might not understand the significance. The cab driver stopped me mid-sentence and asked me if I saw the meter before the cab died. Seriously, dude? I’m crying, your cab died on a bridge into Manhattan, I’m late for a wedding event and you have the audacity to ask me if I saw how much money I owe you? “No” was all I could say. The cop summoned an available taxi, alerted the driver to the fact that I was late and soon we were on our way. I don’t think I’ve ever ridden in a car that going that fast. I did the best I could to pull myself together and get over the miserable morning I’d just had. Before I knew it, I was at the spa! I missed about half of the spa treatments, but I made it. The rest of the weekend was flawless. The rehearsal was fantastic, followed by dinner and games at Dave & Busters right off Times Square. On the wedding day, we went to church in the morning then got the bride ready to walk down the aisle. The bride was stunning. The ceremony was original and beautiful. We walked from the church to the reception and I was able to snap a photo of the newlyweds kissing with the Empire State Building in the background. Who knew such a wonderful weekend would come out of a crazy beginning? There are many things I will miss about not having Sarah in the same town as me: going out to dinner because we can always split meals, watching TV together because she always has funny questions, showing up to parties separately only to find our outfits match, cooking dinner together because she always does the dishes and shopping together because she is always honest. These are just a few things I can think of that I will miss. Thankfully, technology will keep us connected. I will talk to her every day. I will picture message her outfits I’m considering buying when I need an honest opinion. I will drive to Nashville any 3-day weekend that I can. Sarah and I have already planned a few vacations we are taking together this year. Now that she’s moving these trips will be our way to reunite. One trip we have planned is to go to Denver for the Colts vs. Broncos game this fall. Ironically, we will be staying with my mom’s best friend who lives right outside of Denver. My mom and her friend Katy (my namesake!) have lived in different states since they were in high school. I guess when you have such a special friendship with someone, time zones don’t matter. This Memorial Day weekend will be bittersweet. I will say goodbye to a best friend and good luck to her as she starts a new, very exciting chapter in her life. Each time I get sad about her leaving, I think about how lucky I am to have such an amazing friend as Sarah. I look forward to many more years of this friendship. Thank you, Sarah, for being such an important part of my life and I look forward to what the future brings for both of us. “His Majesty the King” is sung every year at Christmas time at my parents’ church. This song sends chills up and down my body, my eyes well up with tears and a giant smile appears on my face. It’s a powerful song that if you don’t feel the presence of God by the end of, I’m convinced you don’t have a pulse. There are many other songs like “His Majesty the King” that evoke emotions in me every single time I hear them. There are songs associated with memories or a certain time in my life that cause me to smile, cry, or sometimes even laugh. “The Time of My Life” from Dirty Dancing always makes me laugh. I think about the funny parodies based off the ending scene of the movie. I am also reminded of the many times my friend Clint & I have tried to recreate “the lift”. After trying this many times, I know why Patrick Swayze practiced so much in the lake before the big show. There is one song that finds its way back into my life in strange ways. It’s a classic. If you have any experience with a choral group I’m sure you’ve performed it at a school concert or vocal competition. This song was the title track to a Simon & Garfunkel album released in 1970. Any guesses? The song I’m referring to is “Bridge over Troubled Water”. As I write this, the lyrics to the song are going through my head. I can hear the beautiful four-part harmonies. You may be wondering why a song that was released the year my parents graduated high school has any meaning in my life. Every spring the choirs from all grade levels in my school system came together for a concert. There were traditional songs sung at this concert every year, one of them being “Bridge over Troubled Water”. This, however, was always a unique performance. The Music Director, Mrs. Crawford, would accompany herself on the piano and sing. It was breathtakingly beautiful every time. She was so talented. For me, there aren’t many performances more beautiful than when a singer accompanies themselves on the piano. I hadn’t really thought about the song much since my eighth-grade spring concert with Mrs. Crawford until a few summers ago. It was the night before the big anniversary show for Pyramid Productions. I had taken the day off work to drive north for our last rehearsal. It was a great day! I was reunited with former company members, singing all our songs, and preparing for an incredible show the next day. After a long rehearsal a few of us were ready for a cocktail. There were four of us total; two guys and two girls. Not having lived in Elkhart for about 8 years, I didn’t have any suggestions of where to get a drink on a random weeknight. Someone mentioned karaoke at a bar not too far from my parents’ house and I agreed. When we drove up to this bar I realized it used to be Shoney’s. As a child, I loved the mojos (fried potatoes) at Shoney’s so I assumed this bar would be just as fun. To my surprise, the drinks were cheap & strong. Karaoke was set up outside, so we found an open table and claimed it. After about the third karaoke show tune I started putting the pieces together; show tunes, strong drinks, a female bartender with a shaved head. Then I turned to the 3 people I was with and said, “You’re all gay and you’ve taken me to a gay bar!” They laughed, because it was true, and the only next logical step was to put our name on the karaoke list. I wasn’t in charge of picking out the song. It was their bar, so they got to pick. Once our name was called, we went up to the gazebo that housed the karaoke machine and microphones. The music came on and I realized it was “Bridge over Troubled Water”. (I warned you this song creeps up on me in strange ways.) I should remind you I was with three musical divas. It was good. I was definitely the amateur of the group; they all had way more musical theater experience and vocal coaching than me. I’m pretty sure we had three or four-part harmony the entire song. I’d like to think we gave a great performance. I didn’t ask around afterwards, but the applause was favorable. It was definitely a night I will never forget. Like many other things in my life, this song makes more sense as I get older. I have friends and family members who are going through some pretty tough situations right now; illness, break ups, anxiety about the future, unexpected surgeries, career changes. We all go through these phases in life when things seem easy for a while and then out of the middle of nowhere, BAM!, things go sour and life gets tough. This is why we have each other. I rely on my relationships with family and friends to keep me balanced. This song reminds me that when I need these people, they will be there. In the same way, for those of you who are treading through troubled waters right now, I trust that you know I am always here to be your bridge. Love Spell, a scent of body lotion by Victoria’s Secret, reminds me of high school. According to Victoria, it’s a blend of peach, cherry blossom and white jasmine. To me it’s made up of memories from the musical “Anything Goes.” My best friend Stefanie discovered it just days before we were in the musical our senior year of high school. Coming from a small town, our theatre department had practically no budget meaning homemade costumes and make-shift dressing rooms. Stef and I shared a dressing room that was created underneath part of the main set. It was essentially a hallway. We were cast as two of the three leading female roles causing us to have multiple costume changes. After many rehearsals, costume changes, and the heat of the stage lights, our “dressing room” started smelling less than fresh. Luckily, Stef had brought her new lotion and body spray to rehearsal to share with me. We used the body spray to mask the ripe smelling dressing room. Even though at times it smelled like a mixture of Love Spell and feet, we loved it! We went on to room together our freshman year of college and brought our favorite smelling body products with us! To this day, whenever I smell Love Spell I am reminded of high school, performing in “Anything Goes”, Stefanie, and my dorm room freshman year. These are all very good thoughts! I reminisce about how great it was growing up in a school where I was given amazing opportunities like leading roles and playing varsity sports. I think about how much fun Stef and I had together during that show and during our year cohabitating in an incredibly cramped dorm room. Isn’t it amazing how the blend of peach, cherry blossom and white jasmine can remind me of all these things? Springtime has officially hit Indiana and lilacs are everywhere! The fresh lilacs remind me of home. My parents have a lilac bush in the front yard. I remember picking freshly bloomed lilacs, wrapping them in a wet napkin, then covering that up with aluminum foil so the flower would stay fresh. I would deliver them to friends, neighbors and teachers. 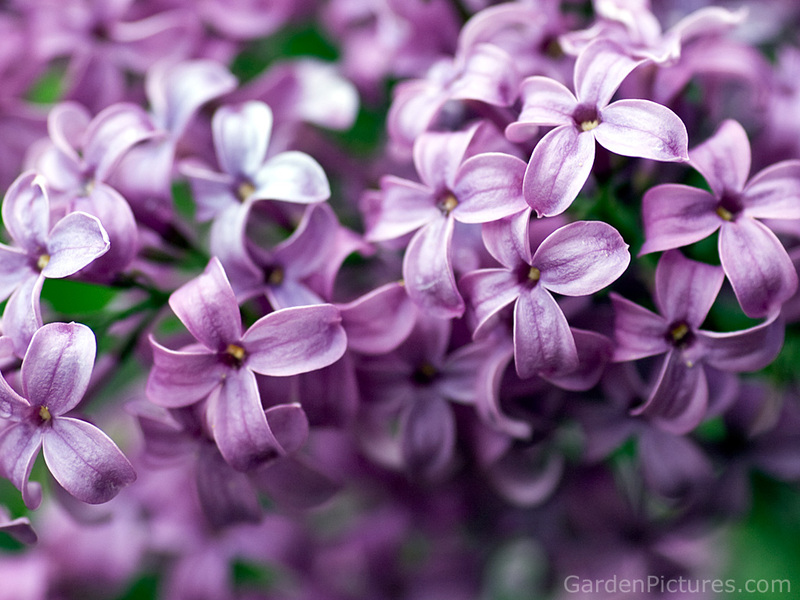 I’d like to have a lilac bush some day to remind me of springtime growing up. A lilac scented candle wouldn’t do justice, I need the real thing. Moonlight Path from Bath & Body Works reminds me of my Grandma Pat. My mom put that on Grandma’s hands and feet when she was in the hospital. It was an extremely sad time for mom, but now that time has passed it’s a familiar scent that brings back happy memories of Grandma. These are just a few examples of the triggers that send my brain on a trip down memory lane. Each time I come across one of these memorable scents, I close my eyes, take in a deep breath and allow myself to remember everything associated to that particular scent and the moment in my life that made it so memorable. Birthdays in my family are always fun! My mom goes overboard and makes us feel very special…probably because her mom made a point to make birthdays a big deal. Instead of just celebrating for one day, it’s more of a weekend or week-long celebration that consists of lots of food, family gatherings, and of course great gifts. This year on Easter Sunday I turned 27. It was a pretty special day since I got to share it with a major Christian holiday. I started the celebration Friday by taking the day off work, eating at a favorite local hot spot and opening a few gifts. Saturday we went out for breakfast, did a little shopping, then had the extended family over for cake as we watched Butler make it into their first ever National Championship basketball game. Sunday morning I got a double dose of gifts (from the Easter Bunny and my parents), went to church and then ate at my favorite Chinese restaurant in town. Then to top it all off, the day after my birthday my cousin and his wife welcomed the newest member of the family to the world. Even though she was born one day after me, we can still celebrate together next year! Although #27 was a great birthday, I’ve had many other memorable birthdays. Growing up my birthday always fell on Spring Break. We didn’t take a vacation every year, but the years we did I liked to pretend it was for my birthday. I got to make all the decisions of where we’d eat and what we’d do on my birthday. This may be part of the reason my brother resented me when were younger. For example, when I was in 1st grade we went to Washington DC and my birthday didn’t fall on Easter, but it was close. Adam really wanted to go to the mint to see money being made. It was my birthday, so instead of going to the mint, we waited all day in a line outside the White House and rolled Easter eggs on the lawn. I of course thought it was fun! We got wooden eggs signed by George & Barbara Bush and got our pictures taken with a few clowns; I mean what’s not to love? It’s a tradition I didn’t understand when I was 8, but now I hear about it every year on the news and think how cool it is that I got to take part! I doubt Adam shares the same sentiment. Sorry, bro. Possibly the most memorable birthday was when I turned 14 in 8th grade. It was the Friday before Spring Break and I remember thinking it was so cool that I had school on my birthday! We were leaving for Florida the next morning, so I was doubly excited. Much to my surprise my Mom planned an exciting surprise for me. I was eating lunch in the school cafeteria when out of nowhere I got summoned up to the front of the room by two high school boys. They proceeded sing “My Girl” to me in front of the whole school. Then at the end, the most embarrassing part, a kiss on the cheek! My face was BRIGHT RED! I was in the homely, middle- of-puberty, braces wearing, weird stage that every teenage goes through…and I was embarrassed! My mom set out to make the day memorable and she succeeded in a big way! The next year I was in the high school show choir with those two boys and we were able to laugh about it and recall how red my face really was! Even though I’ve had some very memorable birthday celebrations there is one constant that is the most special to me. I share a birthday with my Grandpa Bill. He was born on April 4, 1917 and would have turned 93 this past Sunday. He passed away before I had the opportunity to meet him and even before my parents got married. I wonder sometimes what it would have been like to celebrate our birthdays together. I also wonder if each year on April 4th while we are celebrating my birthday my dad, aunt and uncles think about their dad and miss him. I wish I had the opportunity to meet him. Had I been a boy, I would have been named William after him since we share a very special day together. Maybe on my 28th birthday we can gather the family together and share stories about Grandpa. I’d love to find out how he preferred to celebrate his birthday and what kind of cake he would have wanted! The only way I can learn more about him is to hear stories from his children. I think it’s important to keep those memories alive and I wish we talked about them more as a family. Henry David Thoreau once said, “Making a difference is the highest form of art.” This quote is the motto for an organization that has been a part of my life since I was 15. Pyramid Productions is a traveling theatre company that brings music to people who would not ordinarily have the opportunity to enjoy it. Headquartered in northern Indiana, the company travels mostly around the eastern United States to retirement homes, nursing homes, children’s hospitals and rehabilitation centers. The summer before my sophomore year of high school I packed up a bag, got on a 15-year old tour bus, and embarked on a life-changing journey. The first tour I went on was in style. Our aging bus was on the fritz, so an RV was donated to us for our week-long excursion. We didn’t go too far this trip, maybe only to Kentucky. I was the new girl and I was the youngest. I wish I could remember my first show with the group, but I don’t. However, I remember learning early that there wasn’t much room for modesty. Most of the time we would change on the bus prior to our shows, in an effort not to get wrinkly. After we were dressed in our white pants and colorful tops, we’d unload the keyboard and our set that consisted of carpeted boxes and boards we arranged differently for each song. The songs we performed varied by our audience. We had all original music written with the idea that our audiences would be inspired, entertained, and able to reflect on happy times in their lives. For the kids’ shows we had songs about silly things you do to your siblings, annoying flies in the room, and rainbows. For the retiree’s we’d sing songs about love, joy, looking back and family. We’d sing for about 45 minutes to an hour, and then we would mingle with the crowd for about the same length of time. I met children with terminal cancer who didn’t mention once that they were sick, but instead wanted to color with me after the show. I met lonely widowers who were so happy to smile and simply be entertained. I was brought to tears more times than I can count. The shows were both physically and mentally draining; but it was worth it. For about 5 summers in a row, I gave up three weeks to travel with Pyramid, and many nights rehearsing to prepare for that summers’ tour. There were definitely times I did not want to go to rehearsal, or in the middle of a tour I just wanted to go home. But I was always re-energized by the next show. It’s hard for me to describe the feeling of touching someone’s life by song. I don’t think at the time I really understood all of our songs and the meaning behind the lyrics. Two summers ago I performed with the company at its 25th anniversary show. I found myself on the verge of tears many times as I sang lyrics to songs I’ve known for years, but didn’t truly understand. The songs about friendship, family, losing things you love, growing, smiling through sadness, inspiring others, reaching your potential…now I see why our audiences were so touched. This morning I was driving back from a friend’s house in southern Indiana and I popped in the Pyramid CD from about 8 years ago. I was singing along and before I knew it all these memories and emotions overcame me. Usually when I’m jamming out in the car I zone out. This morning I found myself crying tears of joy thinking about the feeling I had when performing with Pyramid. I thought about all the experiences I was so lucky to have, and (hopefully) all the lives I was able to touch just by doing something I love. Now as an adult I see why our director pushed us so hard to be so good, and challenged us when we were whiny. She was smart enough to know that at the time we may not have realized the importance of our work, but that someday when we grew up we would. Thank you, Sherry. I truly believe that making a difference is the highest form of art…now I just need to find the next best way to achieve it in this stage of my life.